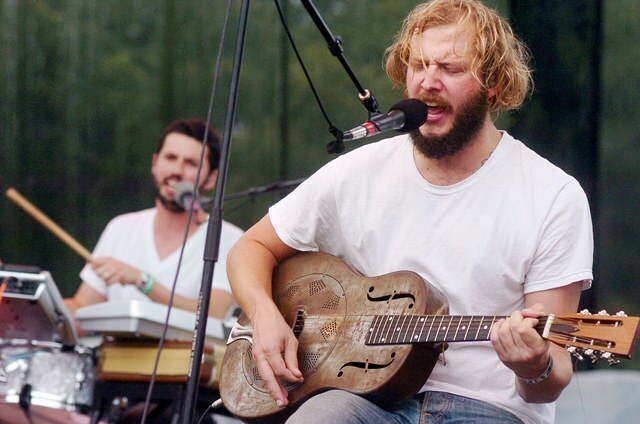 When Bon Iver comes to the Chicago Theatre this July, they’ll be promoting a brand new album (which comes out in June), but we doubt they’ll be bringing West along. Which is a shame, because tickets to this concert cost nearly $50 after surcharges and taxes, and as much as we like Bon Iver, we can’t recommend anyone spending that kind of money to see just them. Back in 2009, we watched them perform in the rain at Lollapalooza. They hit all the right notes, sounded as crisp as one could hope for and yet, they elicited zero energy from the crowd. We’d blame the crowd, but it wasn’t their fault. The great thing about Bon Iver’s music is that it’s reserved and reflective, and the moments when emotions come to a boil are fleeting, as they should be. The songs on “For Emma” are cathartic, but they’re sung by a man who is too defeated to loudly purge for more than a few seconds. This makes for a terrific album but a rather boring performance for a concert festival. 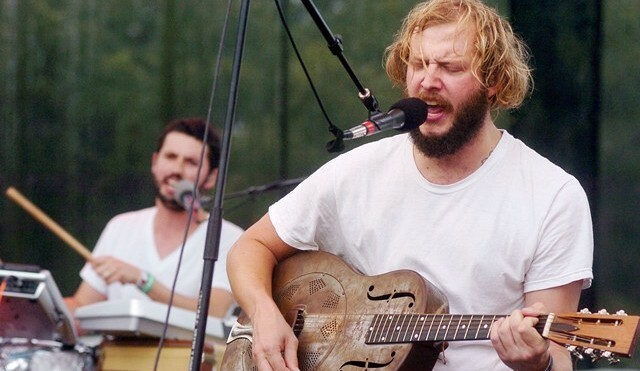 We’ve seen many bands whose live shows are louder and more aggressive than their music would suggest — Fleet Foxes, Radiohead, The National and Okkervil River all come to mind — but we can’t put Bon Iver into that category. The Chicago Theatre is a more appropriate venue for them than a huge outdoor festival, but still, the theater is a bit too big for their music. Schuba’s is the type of place Bon Iver was meant to play in, but the group is clearly too popular to perform in such a small space. This is the conundrum with the group: their sound is meant for intimate rooms, but their fanbase is too big for small spaces. Which is why we recommend listening to Bon Iver in a cozy room with the lights turned low, as we imagine that’s how many of the songs were recorded. If you really want to spend $50 to see them perform in Chicago, we won’t devote anymore text to dissuade you. But if you see them and feel underwhelmed, don’t say we didn’t warn you. Bon Iver at the Chicago Theatre. Tickets on sale at 11:00 am today (Friday 13th). I actually am going to see their performance with friends when they hit town. I’ll share my critique for comparison…hopefully you’re dead wrong. There’s a good chance we will be. It’ll be a good show, it just won’t be as visually stimulating as say, Jonsi. Or as lively as say, Arcade Fire. I just saw their Chicago Theater performance, and it was actually the opposite of boring. Justin Vernon with an 8 piece band, great lighting effects tailored to compliment each song, and everyone on stage had amazing energy. Totally worth the money in my opinion. And, Chicago agrees, it was sold out after all.